I am installing drop floor pans and a drop battery box. Has any one tried this and was there any problems I should be aware of? Will the seats still be able to slide back and forth for adjustability? Etc.... THX in advance! I believe I got them from PANTERA PARTS CONNECTION. And I have not decided on seats yet. I have the original seats but I wanted to put in some racing seats, that look a little more sporty? That is why I needed some pointers? 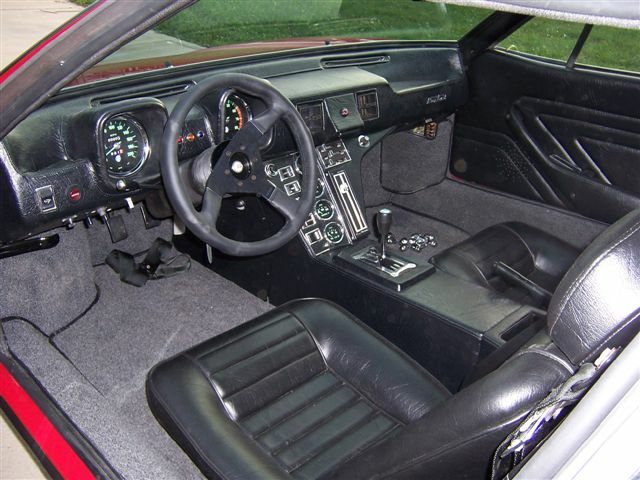 If you're looking for more sporty seats keep in mind that Corvette seats work very well. will they be adjustable sitting down in the pan? No in any true sense. You are dropping the seats down a couple of inches into a pit. The seats normally only sit an inch or so above the floor. Once in the pit, their adjustment will be only to the edge of the pit. Most of us are the only drivers of our cars. The seat position is for us, and once set doesn't need to be changed. If a future owner has shorter legs and needs to slide the seat forward I imagine they could build seat track risers to solve the problem. That is what I had feared! I did not want to make it to fit me specifically as I am a short 5' 8" and that means other people can't enjoy getting in it and trying it on for size at shows. I really wanted it to be more adjustable. What if I modified the entire floor to drop down slightly at first, with a little more slope as it went back? Obviously I would not drop it to low for clearance issues, but then the seats could be easily adjusted! And the taller you are the more head room you would get as you push the seat back?! I am a short 5' 8"
Then why are you dropping the pans??? There's plenty of head room already. And the stock seats are adjustable. Even some of the aftermarket seats - Fiero, Corvette, BMW, etc - are adjustable if installed on tracks without dropping the pans. guide. 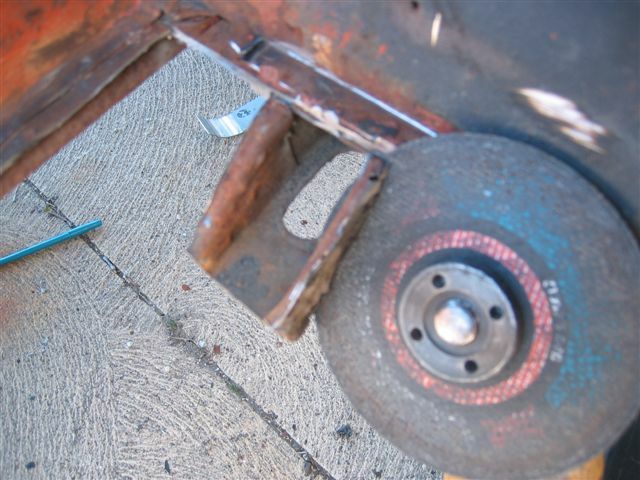 A cut-off wheel was used to get started then we switched to a Sawzall. welded with a die grinder and rotary wire brush wheel to ensure a clean weld. After a bit of hammering, we welded along the entire perimeter of the pan. You'll need a helper to hold the pan edge flush with the surrounding floor. frame rails. Oddly, the aft portion of pan wasn't formed by a metal brake. 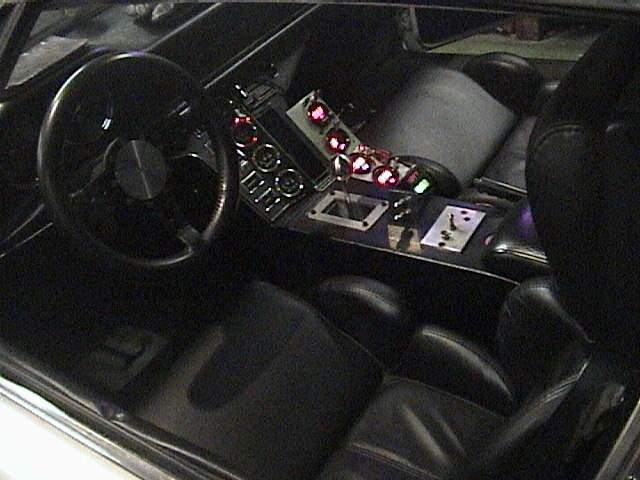 the steering wheel but this will be limited by the width of the seat you use. expect it to scrape on a flat road, even at full suspension compression. need to be wary of speed bumps and alert to stuff on the road. to the seat. In the 'vette, the seats recline so the headrest is vertical. nice complement to the dropped floor pans. 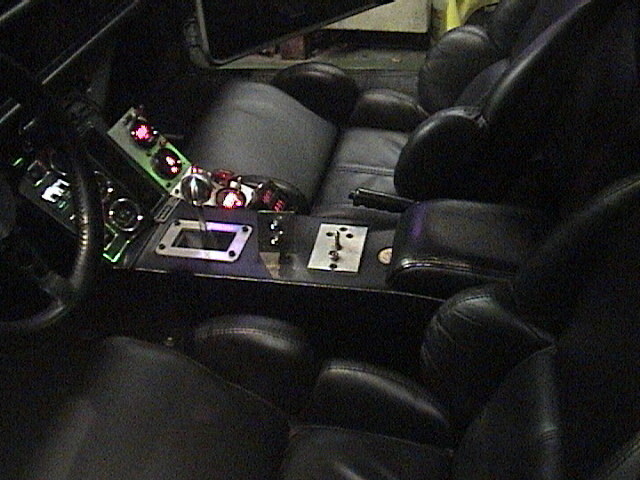 I am not building the car just for me...I am resto-mod the Pantera for shows and maybe some other applications? I just want it to be user friendly...and since I have ripped out the carpet and taken it to metal...I thought I would make it work better in the process...It is a tight squeeze for me and I am not tall!!! Very cool!! That is what I was looking for! THX! 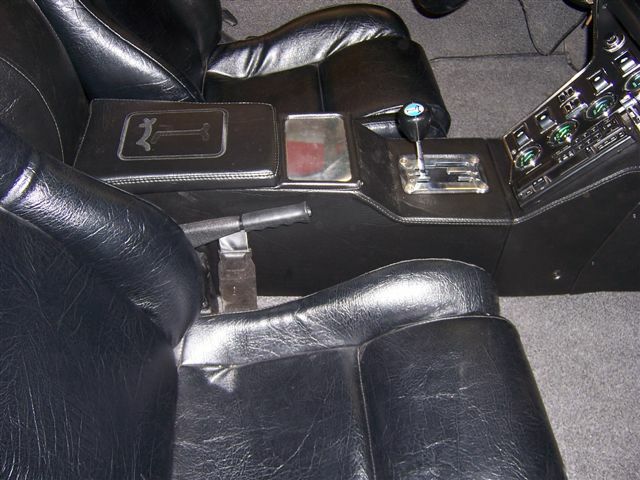 What year corvette seats? No sliders/adjusters? Electric/manual seats? Very cool setup! Are you saying your seats are not anchored to the floor? I do imagine nothing moves out of place while driving . My concern about an un-anchored seat is the harness/seat belts/whatever you are using are designed to restrain a person's body weight. That design process assumes the seat weight is anchored and does not become some additional weight factor (Gravity G-forces and such) that the belts are NOT designed to restrain. A quick Google search shows just a hard-braking F-1 car generates 5g's. Say a seat weighs 60 pounds. That would be an extra 300 pounds pulling on a seat belt. Who knows what the g-force would be in a full head-on accident? And on that same thought vein, if an un-anchored seat wasn't a safety issue, I imagine race cars could shave some weight (always a good thing for racing)by deleting their seat-anchor bolts. Right? any pics of the Dodge Viper seats? I am intrigued!! 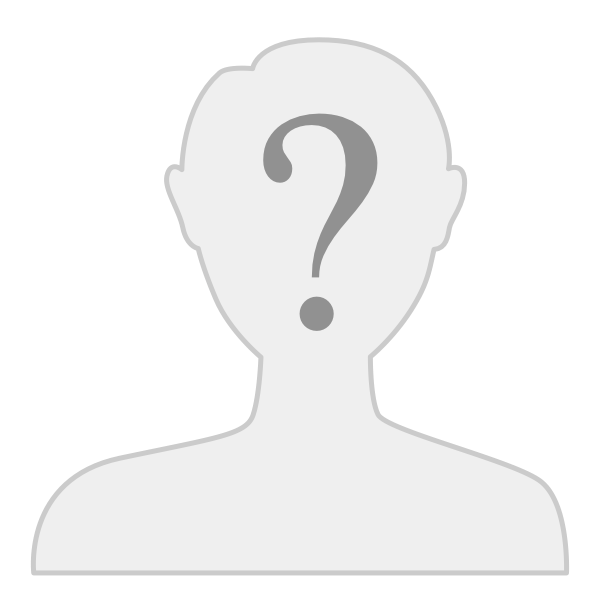 Can you PM me and give me your e-mail address? I have one photo on this computer of the Viper seats that I am installing in the car, and my car is not within easy reach of my camera, otherwise I would have more to share. Biggest problem I have with all of these dropped floorpans is, to have fore-and-aft adjustability you must cut a floor support crossmember- the one just in front of each seat- which weakens the whole floor structure. Choice #2- you leave the crossmembers in place and simply make a big hole in the floor, bolting the seat(s) solidly to the dropped floor with no adjustability. I totally redesigned the pans and was able to keep the front///bottom of the original cross-member in tact and supply a new reinforcement which makes it stronger than original---which is not that hard to do. I also supply new seat mount rails and my pans are 16 gauge steel rather than 20 gauge. These pans fit the car far better than any this built to date. I totally redesigned built to date. These seats do not look stock? What are they?? 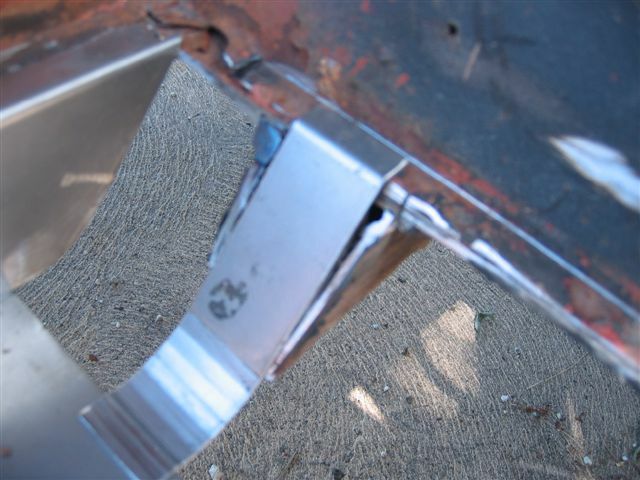 Anyone have any pictures they can post up of the drop pans actually going into the car and the size of the hole once cut out. Would make for interesting viewing. 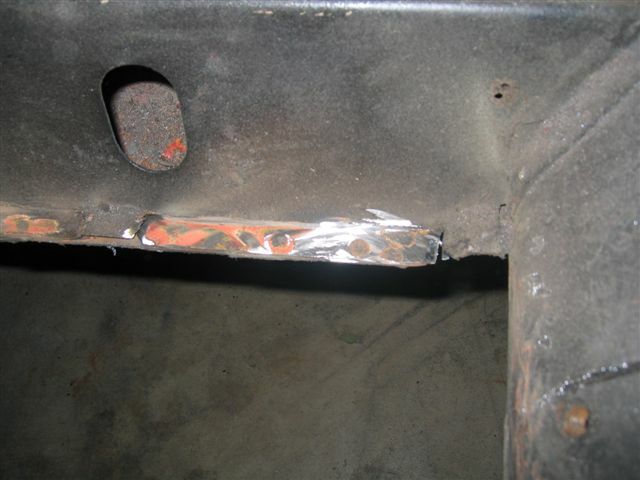 welded to the pan) to mount the female (receiver) portion of the seat belts. from the outside, the drop is approxiamtely 3" at the rear. 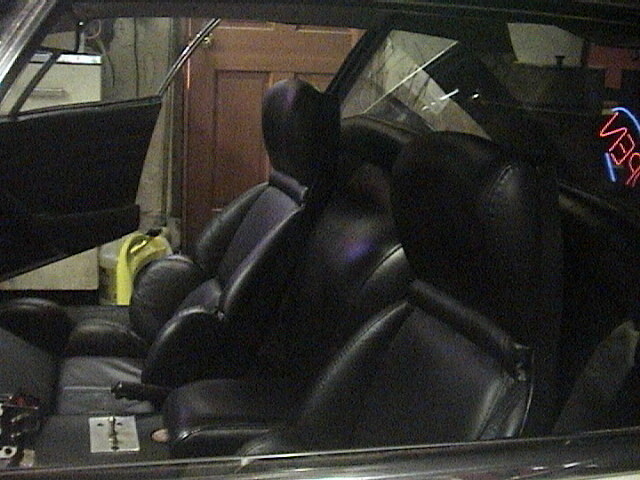 the passenger seat rubs on the sill, even with no sound deadening or carpeting. only time I move the seat is when I remove the bulkhead cover. Do you offer carpet to match the pans? On our '72 L model seats (early 3-piece style), the passenger seat is on stock seat adjusters & floor spacers, and is now offset 2" towards the door. It doesn't touch the side upholstery although it's close. Are you sure those are stock seats, adjusters and have stock spacers under the adjusters? Because of the inward 45 degree angle of the inner side structure, if the seats are lowered, the clearances automatically get closer. 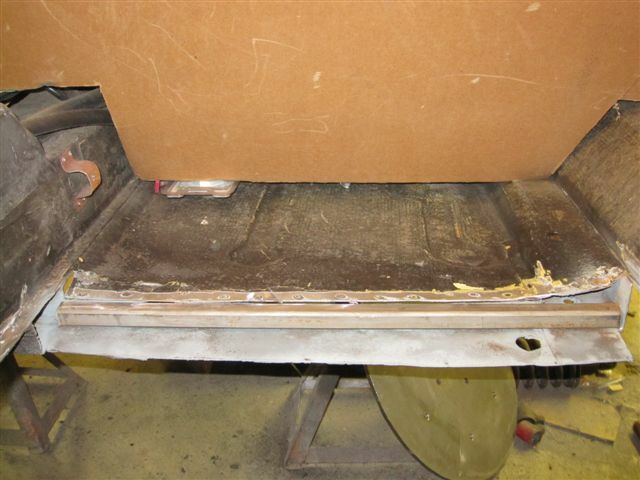 You can avoid removing the seat(s) and rear bulkhead upholstering when working on the engine by simply sawing the bubble section loose from the main fiberglas panel. The mod goes clear back to the '80s. Two different articles were published over the years in the POCA Newsletter. The bubble's upholstery is separate from the rest of the vinyl, and can be removed & reglued on the separated bubble, and the bubble assembly mounted to the firewall with velcro. 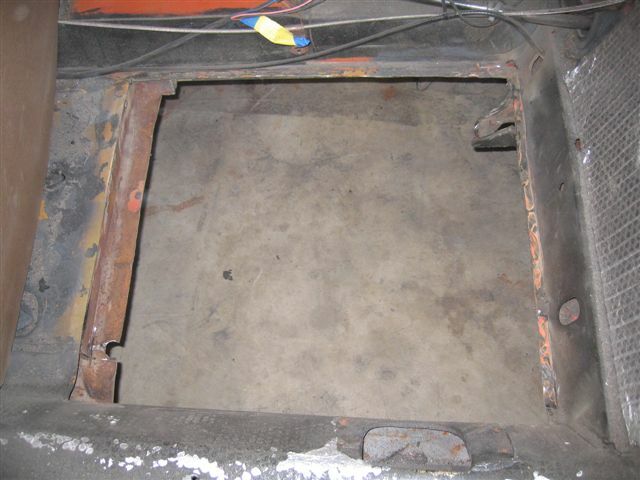 Then when you need to access the front of the engine, only the bubble and inner door need be easily removed. It not only looks stock but is far more convenient, some GR-4s had this mod as-received from the factory, so a case can be made that- like a dropped battery, it's a factory upgrade. Figure on spending a Saturday afternoon doing this simple mod. With my 6'2", 200-lb body, I'm comfortable with ... having stock early seats reupholstered in good materals and adding a simple rake adjustment to the stock seat backs. What kind of "simple rake adjustment" did you use on your seats? Does this allow for the seat to also fold forward? If you have any pictures of the mod could you please post them. Thanks a bunch. Garvino, rake adjustment couldn't get much simpler.... if you have the early 3-piece seats where the back removes from the seat base. These were stock on '71- early '73 Panteras. In that seat, there are two side bolts and two in back that hold it together. Take the back off and with a hacksaw, continue the back holes clear down the straps until you have two forks. Reinstall the seat back, adjust the back for the rake you prefer and tighten the stock allen bolts up, being sure the washer is on the outside between the bolt head and fork. For years, I carried a metric allen wrench in the car to adjust the back rake whenever Judy & I swapped seats, since I'm a foot taller. Then I found 4 aluminum "tooling knobs" in a machine shop catalogue. I bored a recess in each knob for the stock allen bolt head, pressed a knob onto each bolt, crossdrilled through each knob & bolt-head for a roll pin to make a knob with a metric stud, and now I can adjust the seat rake while the Pantera is rolling, by simply untightening the knob's tensions, pulling on the seat back and re-tightening the knobs by hand. Sometimes, it's the little things that count; for instance a tiny bit more back-rake on a long trip. When did you re-design your pans? Sorry I missed this. You have the original design which is fine---no worries! The new design is primary an attempt to change the side profile as seen from a distance. You set are much easier to install and the tin cross member is no where near the strength of the 16 gauge pans with the rails. I have tested the twist and can assure everyone they improve the platform. Aerodynamics---not so much but there are other areas you can improve the cars shape if counteracting pans is an issue. I'll bring some carpet when I come back down to see you--sooner that later I hope. I'll post some install shots of the pans for everyone to review. 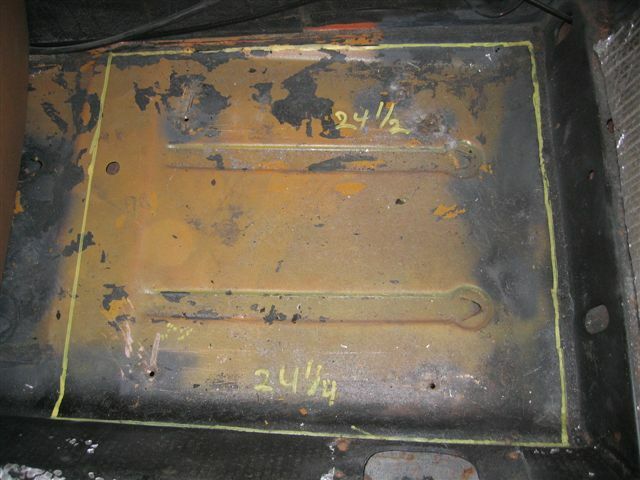 Here's the drivers side marked for the cut. 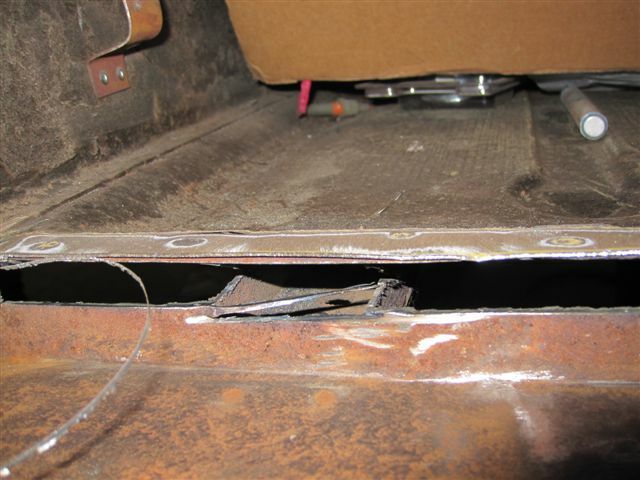 If you're keeping the dash in, make sure it is well protected---I use a large fitted piece of corrugated. Here it is cut out keeping 2 sides of the original cross-member intact. And yes they are all always rusty inside. This shot is of the back cross-member where I slice to slide in the back cap. Just a detail. 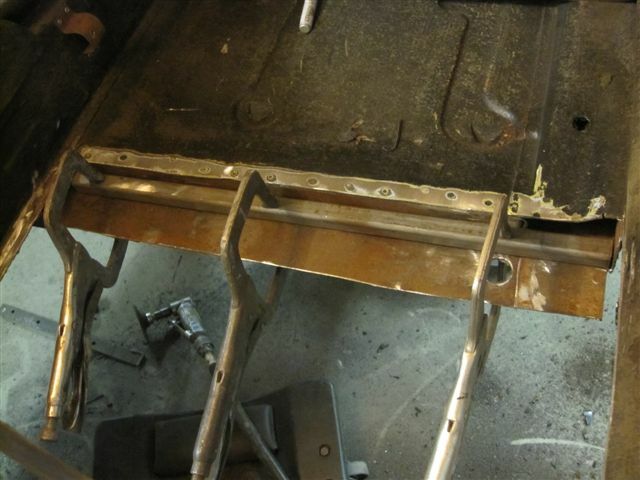 Here's a shot of the 3/4 tubing reinforcement and weld support getting fitted to the old tin cross-member. Here is a view of the section of the old cross-member you will need to remove to flatten out the front of the remaining original floor. The new 3/4 tubing is ready to be welded to the flattened front floor and old cross-member. 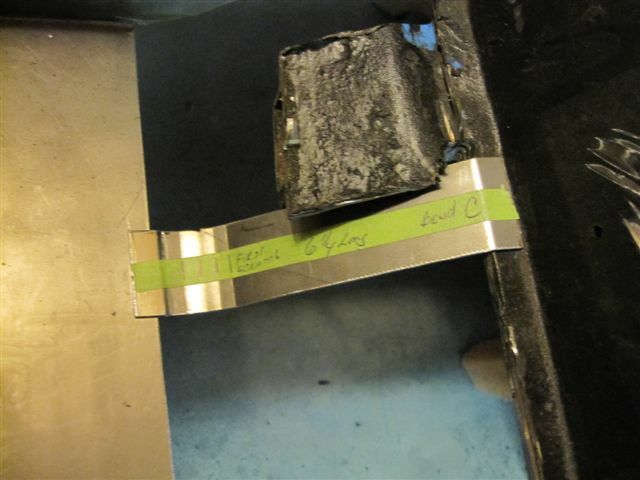 Here is a shot of the rear reinforcement trimming plate we send along in the kit so you can accurately cut the support to fit the back of the pan plate. This makes the trimming much easier and accurate when matching the back cover.